Join Us Tommorrow For a Spring Celebration! DIY Flower Pot Decorating & Treats! Read more about Join Us Tommorrow For a Spring Celebration! 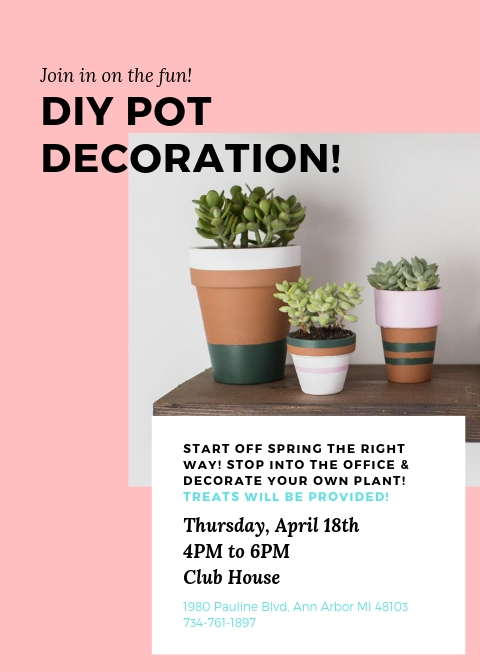 DIY Flower Pot Decorating & Treats! Wonderful news! Thank you for the update, have a great weekend. Water Shutoff: 2065 & 2075 Commerce Blvd. This message is to inform you that we are experiencing a plumbing emergency that has made it necessary to shut water off to your buildings. We are on site now and diligently working to get this taken care of as quickly as possible. Thank you for your patience while we make this repair. Water will be restored as soon ASAP, although we do not have an estimated time for you right now. Read more about Water Shutoff: 2065 & 2075 Commerce Blvd. I hope you are enjoying this lovely weather! I wanted to send out a friendly reminder that rent is due on Monday, April 1 st . If rent is not paid in full by the end of the day Tuesday, April 2 nd , a late fee of $30.00 will be added to your account on Wednesday, April 3 rd . If you have any questions regarding your balance, or have concerns about making your payment, please reach out to me anytime at 734-761-1897 or via email at cassie.sprague@mckinley.com . REMINDER: COME CELEBRATE SPRING WITH US TODAY! We hope to see you all later! Read more about REMINDER: COME CELEBRATE SPRING WITH US TODAY! Read more about Come Celebrate Spring With Us! I wanted to send out a friendly reminder that rent is due tomorrow, Friday, March 1 st . 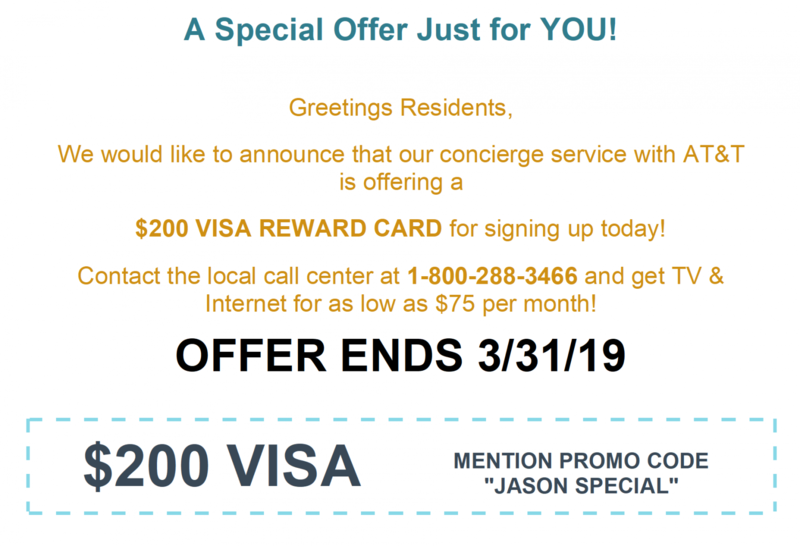 If rent is not paid in full by the end of the day Saturday, March 2 nd , a late fee of $30.00 will be added onto your account this Sunday, March 3 rd . REMINDER: POP ON OVER TODAY! Dinner-To-Go! Win Free Movie Tickets! Read more about REMINDER: POP ON OVER TODAY! Dinner-To-Go! 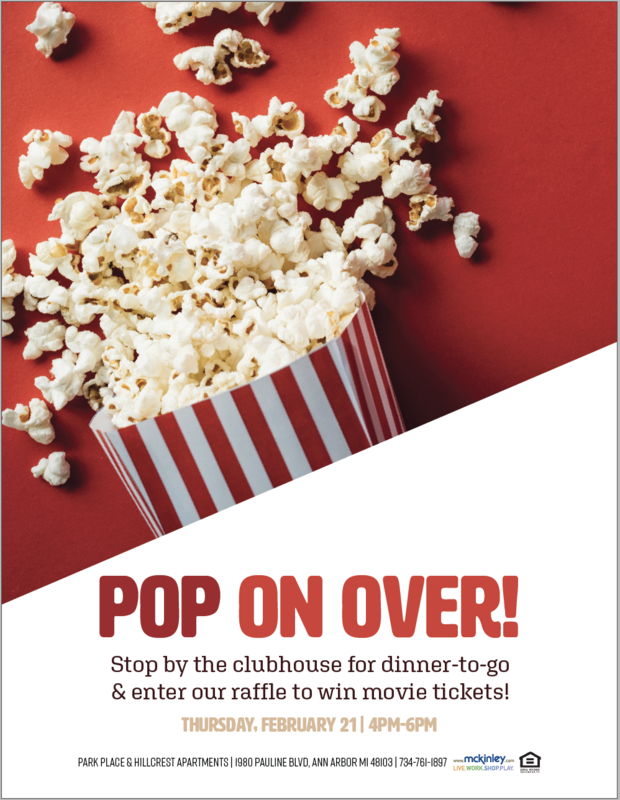 Win Free Movie Tickets!